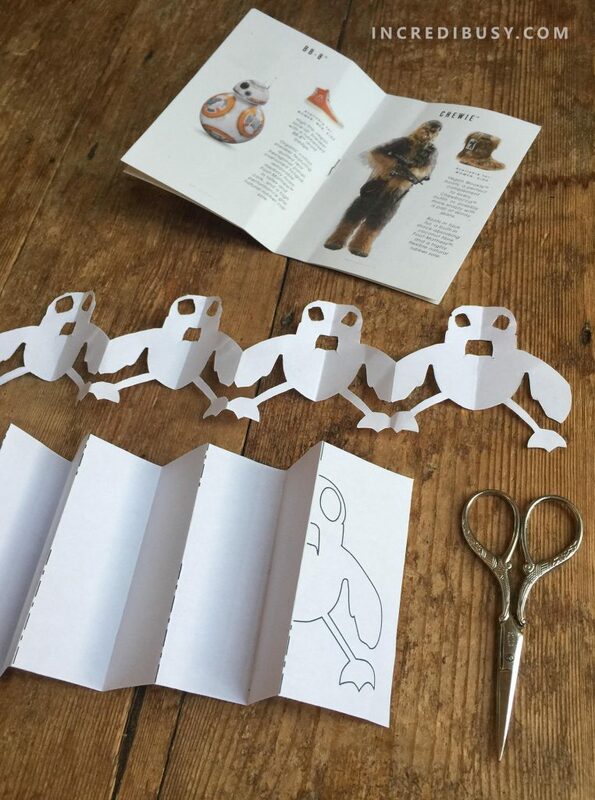 We’ve created a chain of paper Porgs by printing off this FREE template and cutting multi-folded paper strips. 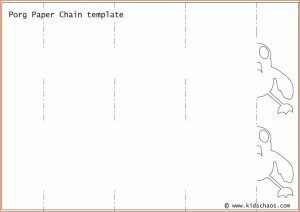 Please use our FREE template (click here). 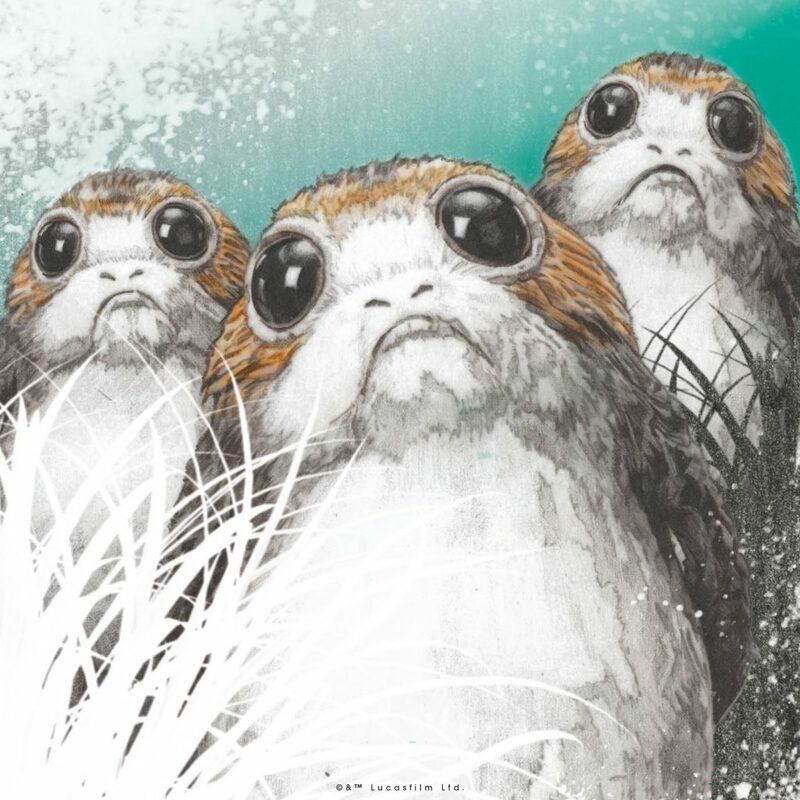 To learn this basic paper cutting technique with paper Porgs that you can either colour in or leave as is to create your very own scene from The Last Jedi! 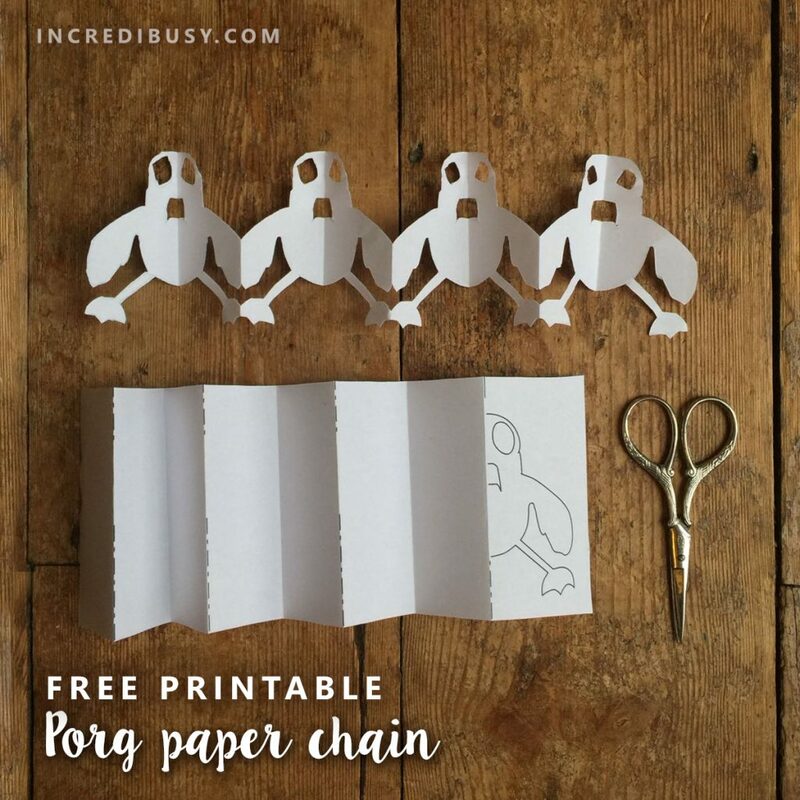 Print off these paper chain Porgs again and again, and glue them together to make longer paper chains. They will make great decorations for parties, classrooms and your home. 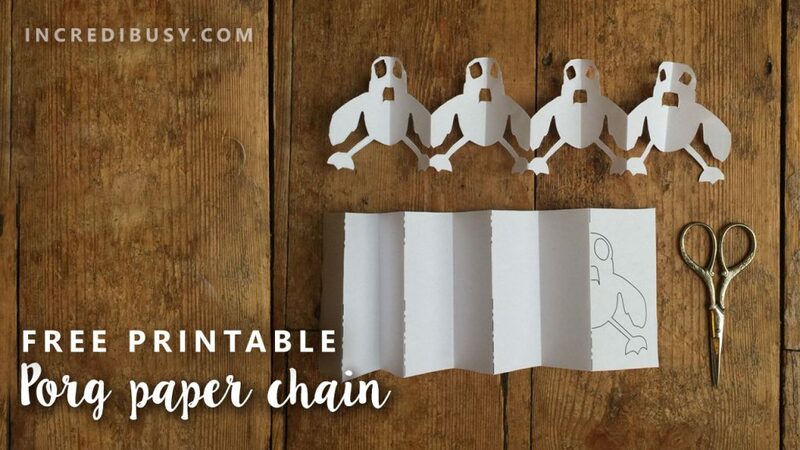 You can even get your pencils out, and copy off our Porg Paper Chain Design shapes to draw onto sheets of newspaper too – if you don’t have access to a printer – this is a great way to have fun with old broadsheet newspapers that would be going to the recycling bin…. 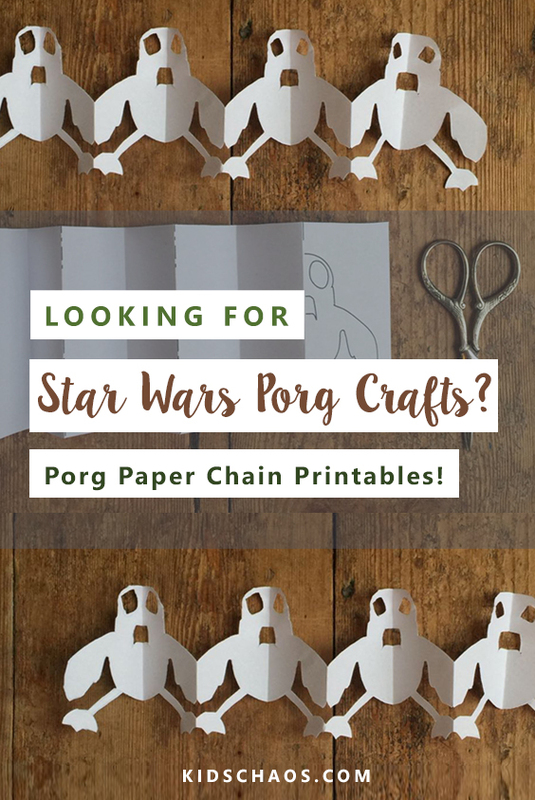 whatever you do, please come back and tell us how you’ve had fun with these paper chains – we love to see what you’ve all been up to and we love paper crafts so if you spot any Star Wars paper crafts we’d love to see them too! 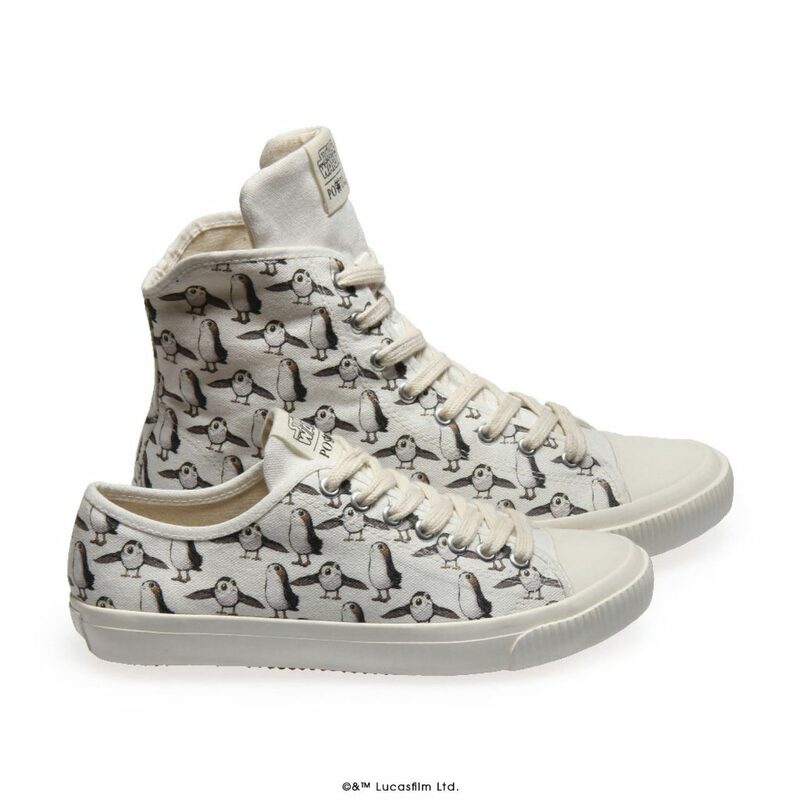 We’ve had a go at making little models with clay – more on that to come – meanwhile we can’t wait for these sneakers from Po-Zu to be delivered in April. 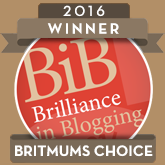 Ali also writes at Incredibusy.com and had a hand in creating this template at the request of the boys!